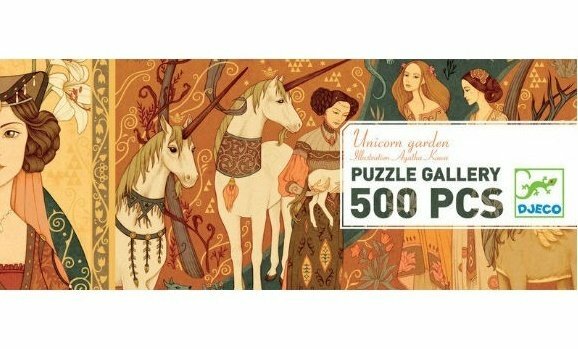 A beautiful 500 piece puzzle featuring a tapestry of scenes. Recommended for ages 8+. Completed puzzle measures 38" x 13"